Charlotte Traffic Reporting On-Demand | Wach Marketing Inc.
NO MORE WATING ON RADIO FOR YOUR LOCAL TRAFFIC REPORTS! The Chuck Roads Traffic Center has come up with a brilliant way for Charlotte motorists to get their traffic reports on demand. 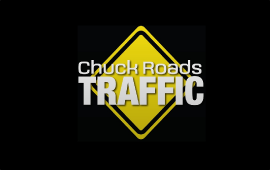 People can access up to the minute traffic reports for the Charlotte Metropolitan area during the day by dialing 704-52-ROADS or through the Chuck Roads Traffic mobile app available for Android and Iphone users. Chuck Roads has done an excellent job reporting traffic in and around Charlotte for over twenty years on radio and television. Over the years, Chuck Roads and his traffic team have developed a system in order to gather traffic data from a variety of public and private resources that gives the reports an unparalleled advantage to his competition. The reports are updated every ten minutes or sooner if necessary, so you can rest assured knowing you have the most current report available. Having the most current report available is what inspired Chuck Roads Traffic to create the on-demand traffic reporting system in the first place. People plan their day to day routines around traffic and radio reports are great but more often than not, they can be outdated and irrelevant. With the new FREE call in option to The Chuck Roads Traffic Center, motorists can access the same quality reports they are used to hearing on the radio without the wait.